LazyScoop | Hi, Welcome to the official LazyScoop Website! 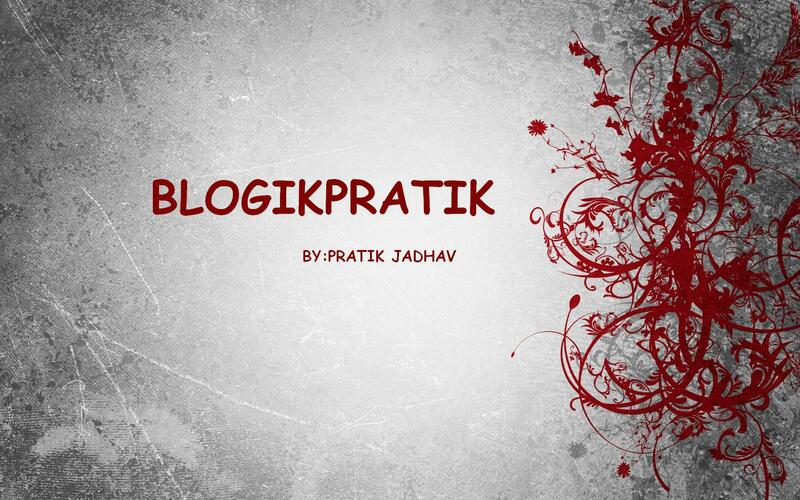 You'll find amazing articles, Book Reviews and poems by Pratik Jadhav. All your likes, comments and shares would be really appreciated. And, don't forget to like The LazyScoop Facebook page to stay updated. Happy Reading! An ideally healthy protein bar should have enough grams of protein to fuel you up after a tiring workout session or a tiring day for that matter. Trekk Protein bar offers about 23 grams of protein, enough to keep you feeling active and energetic. But is having high number of protein enough? Let’s find out. Trekk Protein Bar comes in three different flavours – Blueberry Cheesecake, Double Chocolate and Roasted Coffee. Also, a variety pack having two units each of these flavors is also available. The pack I have with me is a variety pack, so I can tell you all how each of the flavour tastes.I ordered the box of Trekk protein bars from amazon and it came nicely packed as you can see in the pic below. It comes in an attractive box, sealed to confirm its authenticity and no scope for adulteration. Nutrition: Trekk Protein Bars offer about 240 Kcal of energy, from 23 grams of protein, 26.2 grams of Carbohydrates, 7.5 grams of dietary fiber, 4.4 grams of fat and 0 Trans fat. Along with these there are sodium, calcium etc. as promised on the pack. When I consumed a bar, I totally liked the taste of it. It didn’t taste very sweet, nor very sugarless. The flavours were true to their name on the pack. I could feel more energetic, and one bar was enough to keep my hunger pangs at bay for some hours. The bar was thick, heavy and takes some time to chew. Taste wise, I really loved the Double Chocolate flavour and blueberry cheesecake. Trekk Protein Bar gets its protein from a blend of four sources: Whey Protein Concentrate, Pea Protein Isolate, Soy Nuggets and Almonds. All these sources are really rich and healthy sources making this bar my favourite. One important factor while purchasing any protein bar is the value for money ratio. Trekk Protein bars come in a box of six units for just Rs. 550/- I think that’s very reasonable considering the its quality and taste. Trekk Protein Bar satisfies hunger, offers good taste, and makes you feel very energized. All this at a reasonable price. If you are into body building or even if you have a tiring schedule, this protein bar will quench your need for healthy protein and energy. Trekk Protein Bar absolutely recommended by The LazyScoop ! You can buy your box of Trekk Protein Bar by clicking on this link! What do you do when you think you are trapped in the wrong job? Leave the job and do what you love. Simple, isn’t it? But what if you neither have the guts to leave the job nor know what you love to do? Complicated, isn’t it? Meet Raghav, who like millions of other software professionals, is stuck in a similar situation. But don’t worry, his destiny has better plans for him. What plans you may ask? Well, getting him fired. This novella takes you on a light-hearted tour of the contemporary software industry where you can ask the haunting question loudly- is getting sacked a blessing in disguise? There are some books which give different perspectives along with a good story. ‘Thank God, I am fired’ is one such story. The plot of the book revolves around Raghav, who lives a life of disappointment and somehow wants to resign for the job. However, fortunately or unfortunately, he gets fired. Indu, his batch mate arrives in his life like a silver lining. However, him being fired from the job has varied implications. They say everything happens for good, so him being fired is also good in some ways? What will Raghav do next? Will he find other job, or will he follow and his heart and chase his dreams. Thank God, I am fired is a story well written and also very gripping. The language is flowy and you don’t feel like keeping the book down. Also, the writer has tried to narrate the story effectively by not over-exaggerating any scenes. Overall, I really enjoyed reading this book and would recommend it to anyone who works in corporate and somewhere in the back of mind also has other dreams to achieve. Saahil and Varsha are madly in love and expect to marry each other. Saahil, a carefree unemployed orphan, earns almost nothing and struggles to make ends meet. To marry Varsha, who belongs to a very wealthy family, he must have a monthly income of at least one lakh rupees, a house, a car and a bank balance of ten lakh rupees. Such are the conditions set by Varsha’s brother for Saahil. If he fails to do so in just a few months, Varsha will be married off to someone else. As Saahil desperately struggles to complete the impossible task, he comes across many weird people and difficult situations. Will he be able to fulfil the conditions in time and marry the love of his life or will their expectations turn out to be unfaithful? This is not just a love story of two ordinary souls with extraordinary expectations, but a story of war between hope and despair. The cover of the book is simple, attractive and has deep meaning, which I got to know after finishing the book. Let’s talk about the plot of the book- Sahil and Varsha are in love with each other. Varsha, belongs to a rich family whereas Sahil isn’t so rich. He’s unemployed, and lives a life of struggle. Their chemistry and equation is fun to read. They both decide to marry, However enters Dev, Varsha’s brother. He puts some conditions infront of Sahil, if he fulfills them, then he can marry Dev’s sister. The conditions are that he has to have a monthly income of at least one lakh rupees a month, A house, A car, and a bank balance of ten lakh rupees. Failing to fulfill these conditions would lead to Varsha being married off to someone else. The story picks up pace and it’s very interesting to discover chapter by chapter whether Sahil fulfills those conditions or not. The story reminded me a lot of the movie, ‘Mr and Mrs. Khiladi’ however, I enjoyed reading the book more. The writer’s language and narration is simple and you flow through the book. The story though is simple, it’s entertaining. If there can be a movie or series made on this book, it would be great! If you like simple, entertaining and filmy stories, this book is for you. After a defeat at the hands of Lord Kali, Kalki Hari must journey towards the Mahendragiri mountains with his companions to finally become the avatar he is destined to be. But the road ahead is not without peril . . .
As the plot thickens and Lord Kali sees his ambition crushed right before his eyes, he comes to know about his race and its history that threatens to destroy the very fabric of this world’s reality. Kalyug has begun. In this book, Kalki escapes his execution and begins his journey towards Mahendragiri. Even if you haven’t read the first book, you would understand the story because of the references given from the first book. Mythology books have a great potential to be a bestseller, especially today! Mostly because people are curious to know about gods, history, ancient lores and adventures. Kalki: Book 2 has all of that. Everything about this book seems superb, right from the cover of the book to the story. The pacing narrative, the dialogues, the characters everything seems like a lot of thought has been put into it. What I liked the most is how the stories of various characters have been explored, and how they all intertwine with each other. Most of this connection, I as a reader was thrilled to discover. As far as characters are concerned, each and every character is so well developed, I was connected to them as I was reading. There were moments when I could feel what they were going through. The language is lucid and feels sharp. The narration goes swiftly without dragging any sequence. Also, I think it’s very difficult to describe the war sequences, especially where you keep the readers hooked as to what would happen next. And Kalki Book 2 has just that. It brings the war sequences in front of your eyes and all the moves seem logical. When the story was moving towards it’s climax, I was elated and thrilled to say the least. Kalki Book One was an interesting read, but Kevin has definitely took the epic one level up! There are some stories which are written to engage the reader and play with his mind. The Sane Psychopath is one such book. The thrilling moments, Sharp narration, intriguing story, all contribute in keeping the reader glued to the book. Shanker Lande, a bus driver who has gone berserk and has done something so terrible that the whole city hates him. Everyone wants him dead except for one person, Varun, who wants to know what made Shanker Lande do what he did, and thus he decides to be his lawyer. But would the justice and law survice against the hate of the whole city? Does Shanker’s heinous crime can be forgiven? And why is Varun so interested to fight for him ? This is what the story is all about. I absolutely was thrilled to read the chapters where Shanker Lande and his bus driving has been written(Not giving any spoilers), those where the places when I as a reader was completely wondering what would happen next? All the chapters I felt made me turn the pages faster to know what exactly might unfold later. I also felt characters are really well crafted. Varun, and his will to stand for the law is interesting. His equation with Nakul, and his fiance Sanjana is well described. Author Salil has also explored Dr. Kanitkar’s dilemma really well. Salil Desai is one of the best writers we have in the country, at par with Sidney Sheldon and John Grisham. I’ve read his book- Three and a half murder and had loved that book as well. My only opinion about this book would be that it should’ve had a different climax, the writer has tried to keep it as realistic as possible. Which is great, however I would’ve liked a different climax too, somewhat positive. I loved how this book creates confusion, at one point you root for Shanker, at other point, you despise him. That I think is an amazing point of this book. If you love thrillers and want to pick up a book you just can’t keep down until you finished it off, then you must read this book. This book would make you cringe, it’ll make you bite your nails, it’ll also make you emotional and at the same time completely entertained! The number of bestselling poetry books in India haven’t been as high as a contemporary novel’s. Mostly because there are quite less number of poetry books in English which are actually good. ‘Poetry is possible’ has an interesting synopsis and the cover is mystifying. Is it as good as it seems to be ? Let’s find out! “Vikram’s poems are lyrical and honest. Many of them beautifully capture the queer Indian experience in a way that has rarely been done before.” Udayan Dhar, founding editor of Pink Pages—India’s National LGBT Magazine. “Vikram’s poetry intersects the fields of sexuality, sensuality, and the spiritual. His work shows that in every moment poetry is possible.” Ranvir Shah, curator of Poetry with Prakriti Festival. Poetry is possible is a book with 54 poetries. It’s a mixed bag where there are short as well as long poetries. some have deep meanings and requires a second reading to understand the real meaning behind the phrases, whereas some are very simple to understand. Honestly, I enjoy poetry which have deep meanings as well, which would make one think what exactly was in the poet’s mind before writing them. Vikram’s poems have a story to tell, they are not just phrases written to rhyme with each other, and that’s what makes it a delight to read them. Overall, ‘Poetry is Possible’ by Vikram Kolmannskog is fun poetry book showcasing different incidents of the poet’s life, his thoughts, his experiences all merged into tiny phrases. If you are fond of poetries and love to read poems on different topics, this is a book you might enjoy reading. You can buy the book by clicking on this link! The Cover of the book is very alluring, No doubt it looks attractive in first glance. Is the book as amazing as it’s cover ? Let’s find out. “Aisha and Rohit are like chalk and cheese. While Rohit is completely aimless and imperfect, Aisha is focussed and a perfectionist. Just two opposites. But don’t they say opposites attract? He loves her . . . She loves him. Their wedding is on the cards but their love is put to the test when an unforeseen incident hits their lives. Until love sets us apart is a simple, romance set in college. Rohit, a careless and aimless boy meets Aisha, a mature and focused girl from Delhi, who knows what she wants from her life. They both are complete opposites, but as the famous saying goes- Opposites Attract, that’s what happens in their case too. There are many incidents in the story when the chemistry between the two characters is explored interestingly and as a reader you enjoy reading it. However story soon shifts into another gear, and something unforeseen happens in the lives of the character. As a reader I could connect to the story and the plot. This story will break your heart at some point, it will emotionally connect and may make your shed tears. What I also liked about this book is that how it not only takes you onto a romantic journey but also address many social problems in the society. I liked the narrative style of the author, it’s simple yet effective. The language is lucid, and the pace is almost perfect. It compelled me to turn the pages without breaks. Until Love sets us apart is an emotional love story, but unlike any other normal love story, this story has depth, it will take you on an emotional spin and yet you won’t feel exhausted. It will make you smile, it will make you cry, and it will also define true love. Overall, it’s definitely a book drenched in love and romance and must be read if you love this genre.